You're having a tea party. All of the planning is finished. It's time to select your party invites. Whether for children or adults, choosing invitations are important to your overall event because they introduce your party theme to guests and help set the overall tone by their look and feel. There are a number of ways to source invitations. By searching online, you will find a host of sites that feature invitations you can customize to suit your desired taste. Printing is typically efficient - and you will have your invitations delivered straight to your door. Specialty stationary stores offer an array of beautiful invitations that you can have customized and imprinted with your message. A more economical route may be to visit a local card shop or office supply store and see if there are designs you especially like for your tea party invitations. You may also opt to get creative with your computer, printer and some decorative paper and print your invites yourself. If you enjoy crafts, you can create your invitations by using different textured cards, stamps, trinkets and calligraphy. Hand-crafted invitations make an extraordinary impression and are very personal. 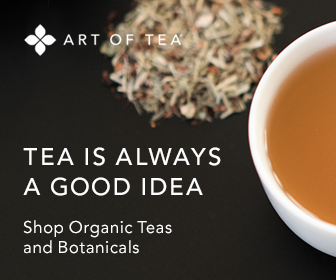 You can get as creative as you desire and may even want to incorporate tea-related elements such as tea bags and unusual tea labels into your design. The style and tone of your invitation verbiage should complement the theme of your event, as well as reflect whether it is formal or casual. The key is to keep your body copy relatively brief, while providing invited guests with all the information they need including date, time, location, party specifics, RSVP and contact information. Request that your guests RSVP up to five days before your gathering to give you enough time for party preparation. Whether you order, purchase or make your own invitations, you will want to hand write the envelope with the guest’s name and address information, as well as your return address. Even consider using a special pen or calligraphy for added appeal. Select decorative or unusual postage stamps for your envelopes to give them an extra touch. Plan to mail your invitations two-to-three weeks before your event.